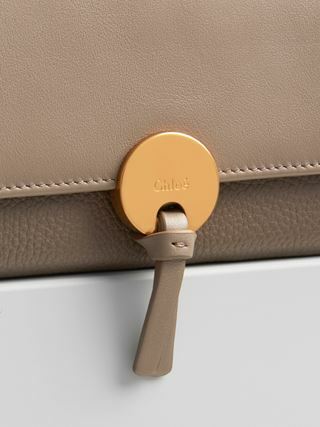 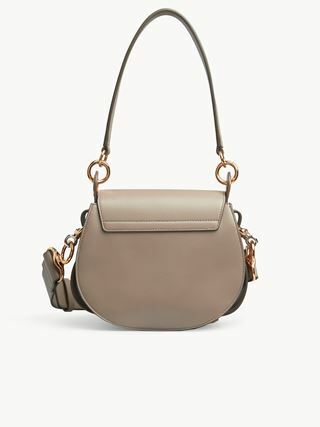 Cut in a refined silhouette with clean lines and a front flap, the mini Faye Day shoulder bag is an elegant and compact accessory enhanced with striking hardware. 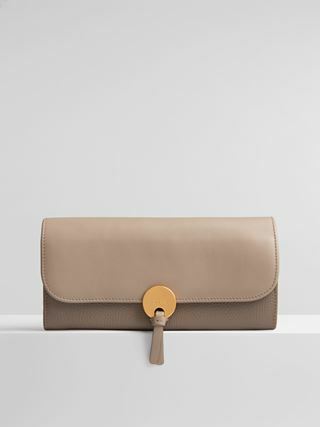 Contrasting textures of motty gray leather are finished with the Maison's distinctive raw edges. 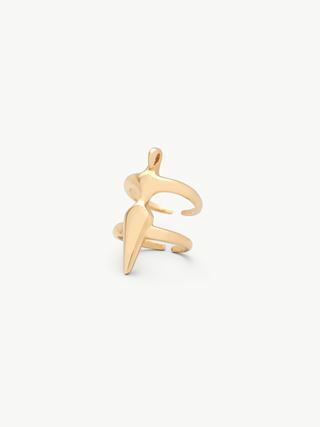 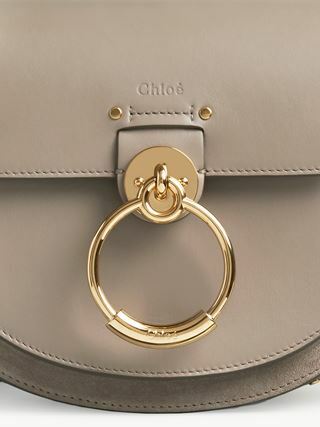 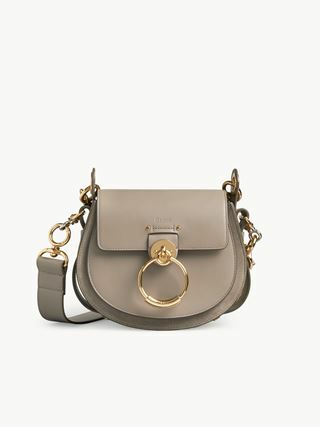 Cool hardware in the “piercing” ring loop with hook and chain summons a 70s spirit, with the rounded shapes offsetting the bag’s sleek aesthetic.